The new catamaran will take 18 to 20 months to build, but once it has been completed, it will take only 13 to 16 months for the next hulls. (The company is limiting production to seven cats per year.) 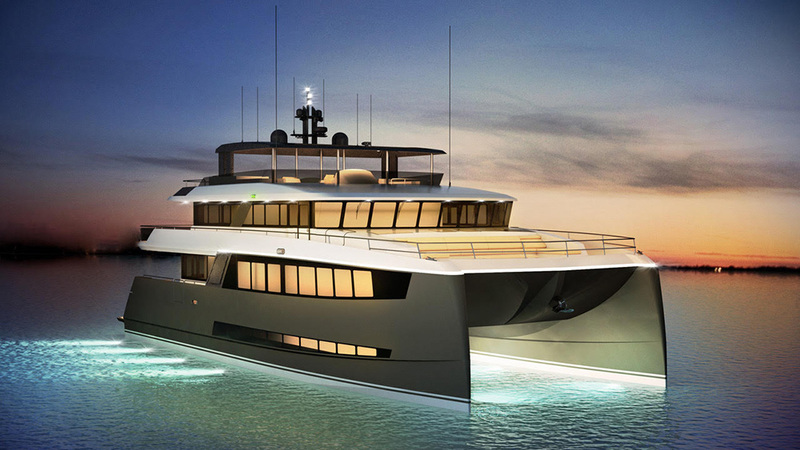 The yachts will be powered by two MTU 10V 2000 M96 engines producing 1430kW each and will sport a top speed of 18 knots. Cruise speed will be 11 knots. And for those who prefer a clean, green, and quiet machine, a hybrid propulsion package is in the works.